Kesar is the Hindi name of Saffron, it is called Jafran in Bengali and Kumkuma pubba in Telugu. 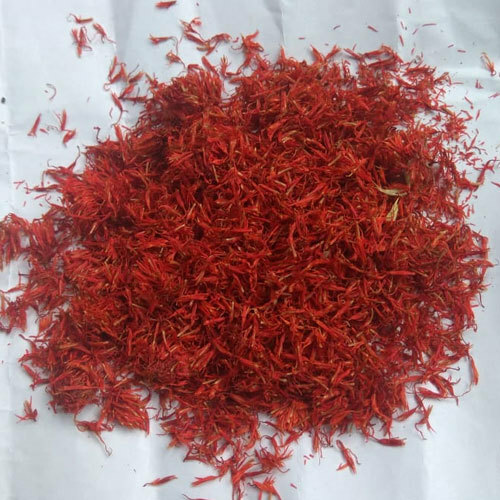 Derived from Crocus sativus, it is used as a seasoning, coloring agent in food & textile industries and medicinal herb in pharmaceutical & cosmetic industries. Here we are offering Pure Kesar, use of which is called wonderful in treatment of stomach issues, colds & coughs, insomnia, uterine bleeding, flatulence and heart problems. Contact us and avail this naturally blessed herb from us at the finest rates!